Over 4000 Accelerated Reader books available for circulation. A new non-fiction Book Nook. A variety of book levels to individualize reading comprehension ability. A librarian who meets with grades K - 6 weekly. 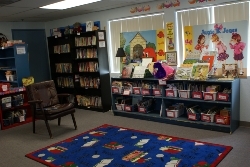 A library program tailored to the age and needs of each class. 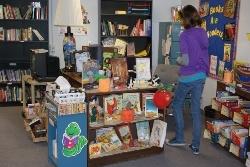 Students actively participate in fun, book-related activities annually. A priority to expand our collection and enrich our library environment. Elementary (K-6th) classes visit the library once a week. 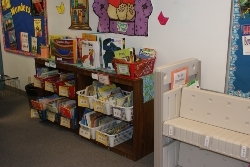 Preschool and Junior have access to the library with their classes and teachers.